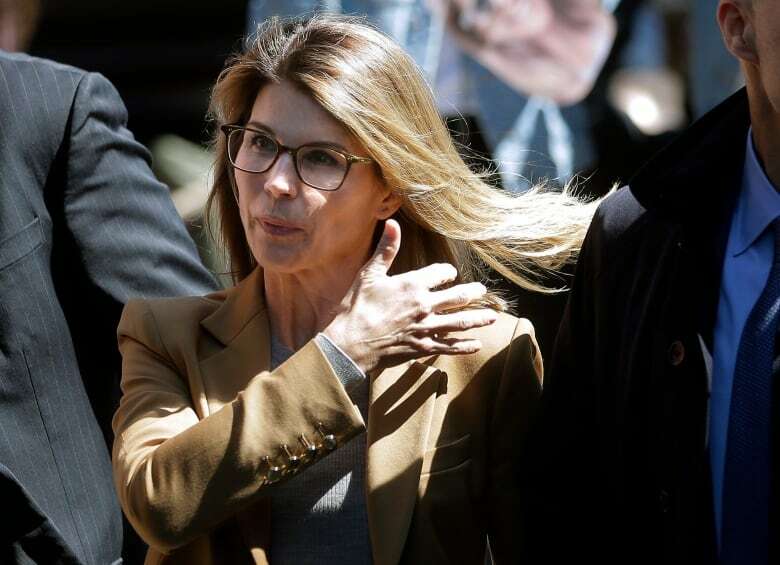 Hollywood stars Felicity Huffman and Lori Loughlin appeared in federal court in Boston Wednesday alongside other wealthy parents to face charges they rigged test scores or paid bribes to cheat the admissions process at prestigious universities. Their appearance comes three weeks after they were among dozens of prominent parents and college sports coaches arrested in the sweeping admissions scandal that has sparked outrage and inflamed concerns that the admissions process favours the wealthy. Authorities stumbled upon the wide-ranging scam thanks to a tip from a Los Angeles executive who was ensnared in a stock manipulation probe. The investigation, which authorities called Operation Varsity Blues, led to the biggest college admissions scheme ever prosecuted by the U.S. Justice Department, officials say. Loughlin, who played Aunt Becky on the sitcom Full House in the 1980s and 1990s, and Giannulli are accused of paying $500,000 US to have their two daughters labelled as recruits to the University of Southern California crew team, even though neither participated in the sport. The Hallmark Channel — where Loughlin starred in popular holiday movies and the series When Calls the Heart — cut ties with Loughlin a day after her arrest. Huffman, Oscar nominee for Transamerica and an Emmy winner on ABC’s Desperate Housewives, is accused of paying $15,000 that she disguised as a charitable donation to cheat on her daughter’s college entrance exam. Authorities say Huffman also discussed going through with the same plan for her younger daughter, but she ultimately decided not to. Gordon Caplan, of Greenwich, Conn., who was co-chairman at Willkie Farr & Gallagher, is accused of paying $75,000 to get a test supervisor to correct the answers on his daughter’s ACT exam after she took it. Caplan’s firm said after his arrest that he has been placed on a leave of absence. Manuel Henriquez, who was chief executive officer of Hercules Capital in Palo Alto, Calif., and his wife, Elizabeth Henriquez, participated in the cheating scheme and bribed the tennis coach at Georgetown to get their daughter admitted as a recruit, authorities say. Three people have pleaded guilty in the scheme, including Singer, who began co-operating last year with investigators. The former head women’s soccer coach at Yale, Rudy Meredith, has also pleaded guilty to accepting bribes. Meredith inadvertently helped investigators uncover the sprawling scheme by dropping Singer’s name during a recorded conversation he had last year with a father from whom he had solicited a $450,000 bribe. The father was under investigation in Boston for securities fraud when he told authorities that Meredith had promised to get his daughter into the school in exchange for cash.